What are these strange lesions in a 12 year old West Highland White Terrier? 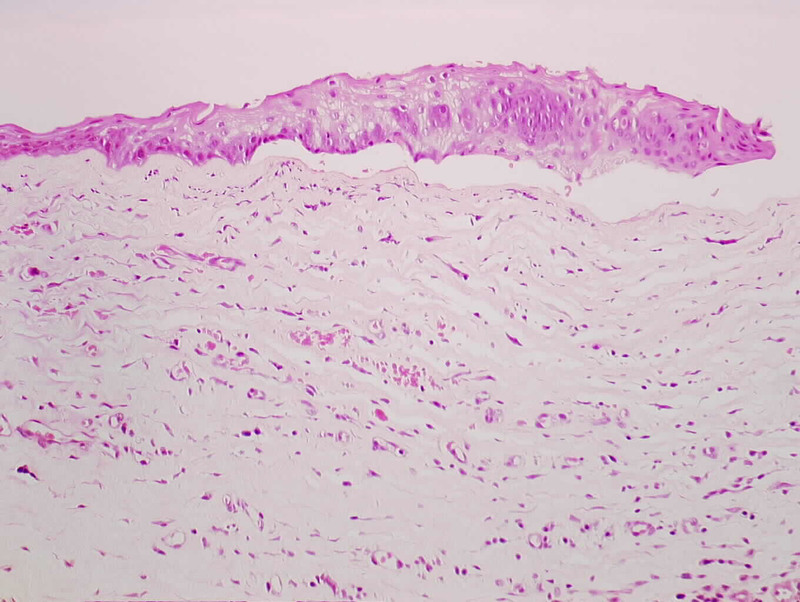 These are oedematous ‘rafts’ of non-adherent cornea as an unusual manifestation of corneal epithelial basement membrane dystrophy normally giving recurrent corneal erosion or ‘boxer ulcer’ where the epithelium loses its adherance to underlying basement membrane as seen here histologically. 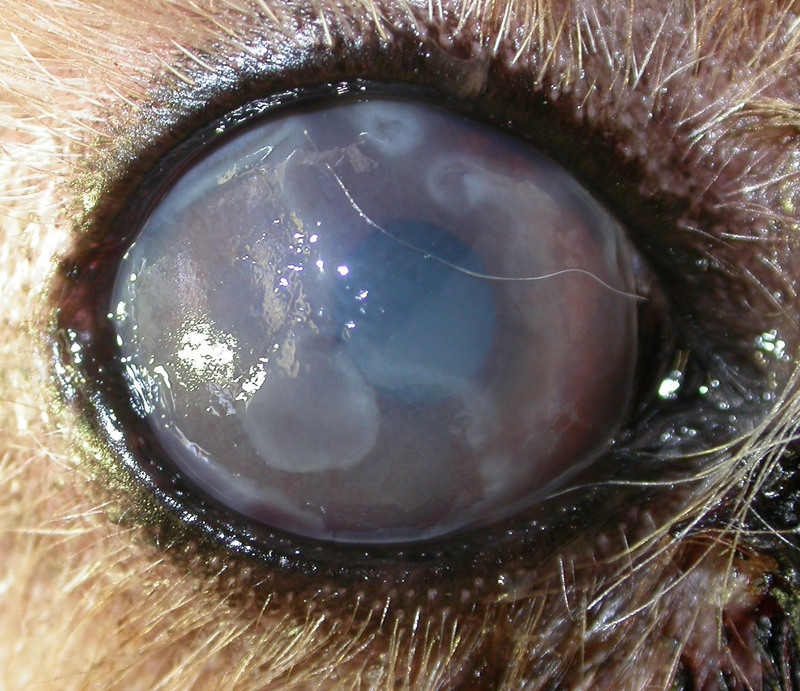 This entry was posted in Cases and tagged corneal epithelial basement membrane dystrophy, dog, recurrent corneal erosion. Bookmark the permalink. A big bad black hole!